We feel honoured by the outstanding group of Fellows joining our Integral Leaders for Global Challenges programme. This diverse and promising group of young leaders will engage with the OTT School for a year. Together we will enable the emergence of a new kind of leadership uniting feminine and masculine qualities, the mind and heart, and people around the planet. By combining personal development paths with collective reflections and ideas we want to leave a legacy of new leaders for think tanks around the world. Please follow our news and find out how you can participate! Aminata holds a Masters’ degree in public policy from King’s College London and an Honours Bachelor of Arts degree from the University of Toronto, where she majored in political science and ethics, society and law. She began her career at the Ministry of Youth and Employment of Senegal as a monitoring and evaluation officer. She then became the national coordinator of a UN FAO Senegal project for youth employment in rural Senegal. 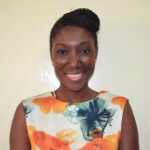 Aminata is currently the Monitoring, Evaluation and Learning lead at IPAR, a think tank that works on agriculture and rural development in Senegal and West Africa. She is an active member of the Senegalese Evaluation Society (SenEval) and the vice-curator of Global Shapers Dakar network, which promotes young social entrepreneurs with motivation and potential to impact positively in their communities. Good leadership entails clearly identifying one’s target and never loosing track of one’s values and motivations while trying to reach it. Chukwuka is the Executive Director of CSEA. He holds a Ph.D in Economics from the University of Portsmouth in the UK, where he also worked as a part-time lecturer in the economics department. Chukwuka also holds a Master of Science degree in Economics from the University of Kent in the UK, and a Bachelor of Science in Economics from the University of Nigeria Nsukka. His research interests are in the areas of foreign direct investment (FDI), trade, global economic governance, education, climate change, and financial inclusion. Chukwuka is a member of the steering committee of the West African Think Tank Network (WATTNet), a network of ten think tanks in West Africa. 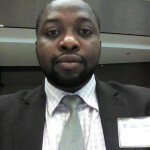 He is also a member of the Advisory Board of the Africa Portal, an online resource that seeks to broaden the availability, accessibility and use of policy research on issues critical to the future of Africa. While the challenges of leadership can be contextual, being equipped with superior skills increases the chance of success. 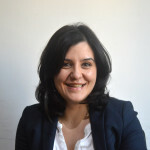 Cristina is the Research Coordinator for Youth Policy Labs, the leading global think-tank specifically focusing on youth. She has a wide background in policy, with nearly ten years of experience in research and analysis in governmental and non-governmental sectors internationally, including with the governments of Canada, United States, and a UN-backed international tribunal. She has an MA in Development Studies and an MA in Public Policy as part of the Erasmus Mundus Masters Program. 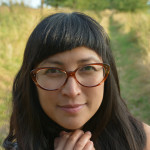 Cristina has worked with youth in various civil society organisations, primarily as a volunteer and youth leader. She co-founded the Hague Interns Association, an advocacy group that seeks to improve intern welfare and promote intern rights at the UN and international organisations, and the University of Calgary Red Cross Club, engaging young people in global humanitarian issues. Cristina enjoys travel, cultural exchange, and loves all things related to food (both cooking and eating). I see my role as that of translator – translating insights from research for its application in policy. Being able to ask the right questions, to assess, understand, and interpret research, and to communicate what this means for governments, international organisations, civil society, or for young people themselves, is one of my key aims. Dmytro is a public sociologist, practicing civic activism at the E-Democracy expert group, Reanimation Package of Reforms. He also does applied research at the Center for Innovations Development, National University of “Kyiv-Mohyla Academy”, Ukraine. He has obtained his C.Sc. degree in Sociology at the Institute of Sociology of NASU in Ukraine and has accomplished several international programs. Via research, civic education, and advocacy, he promotes e-democracy, e-governance, development, and social change in Ukraine and the world. It is a challenge and an honour to be a leader for leaders. Fajri currently serves as the Executive Director of CIPG. Before becoming the ED, he worked for four years as a researcher at CIPG. 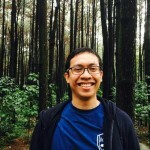 His educational background included an MA in Development and Governance from the University of Duisburg-Essen, Germany and a BA in Sociology from the University of Indonesia. In addition to managing CIPG, he is also listed as a Lecturer at the Faculty of Social and Political Science, Universitas Indonesia. Think tanks need to move out of their comfort zone and confront the changing social reality. 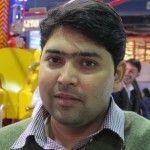 Fayyaz is a development practitioner with over eight years of experience in the non-profit sector. He is founder of the Accountability Lab Pakistan and currently associated with the organisation as the director of programmes. At the Lab, he looks over the work related to youth engagement for promotion of transparency and accountability and on counter violence extremism. He holds an M. Phil in International Development and an M.Sc in Economics. He is a think tank LINKS and Seeds of Peace Fellow. His research work pertains to governance and accountability, women empowerment through entrepreneurship, child rights, and Pak-US relations. Fayyaz has previously worked with Centre for Peace and Development Initiatives (CPDI), the Atlantic Council, and the Sustainable Development Policy Institute (SDPI). I have never believed in the cliché; ‘Leaders are born’. I believe in one’s hard work towards clarity of vision, commitment with the mission, and eventually rising up as a leader. It’s all about learning and growing every day, setting ambitious goals, and making your best effort to achieve them. 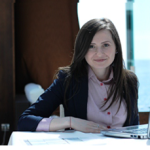 Nataliia is the Vice President for Policy Research and Director of the Center of Excellence in Procurement at the Kyiv School of Economics. She is also a member of the Editorial Board of VoxUkraine. Nataliia got her Master’s degree in Probability Theory and Statistics at the Taras Shevchenko National University. She also holds a Master’s degree in Economic Analysis from Kyiv School of Economics (KSE). She spent a year and a half working as an analyst in a consulting company and as an entrepreneur in the textiles industry, followed by two years working as a Research Associate at the KSE. During this time, Nataliia generated numerous literature reviews and regressions in statistical software Stata, worked on policy briefs, and wrote analytical articles for VoxUkraine. She developed a Ranking of Ministers, which became quite popular. Nataliia has also worked on a policy research projects on the evolution of a public health system in Ukraine, the economic impact of tuberculosis, efficiency of resource allocation in health sector, and the consequences of youth unemployment in the EU and Ukraine. She is currently leading an analytical group studying public procurement, and guiding and analysing the cost of HIV and the financial burden of health care costs. Nataliia is also leading the development of the first Ukrainian post-graduate school in procurement. I aspire for my work to help create a strong group of people driven by a commitment to redesign country institutions and who are capable of implementing innovative and effective solutions to country-specific and global problems. Renata moved from Lithuania to Georgia seven years ago, and now she pursues her career as a Programmes Manager at the Georgian Institute of Politics. 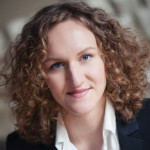 Renata has  a background in political science (BA from Vilnius University,  Institute of International Relations and Political Science) and nationalism studies (MA from Central European University), with a special interest in Europeanisation. Before  joining GIP Renata worked with different NGOs in Lithuania and Georgia in the fields of human rights, youth activism and development cooperation. It is every leader’s dream to see their idea take on a life of its own and be successfully sustained even after they are no longer involved. 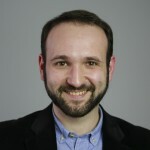 Sebastián was born in Quito, Ecuador. He holds a Bachelor’s degree in economics from the Catholic University in Quito and a Bachelor’s degree in economics and management from the Université Pierre Mendez in Grenoble, France. 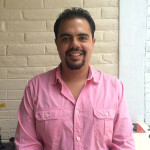 Sebastián has worked on the Extractive Industries Program of Grupo FARO for the past five years. His work has allowed him to gain a deeper understanding on the particular challenges of public policies and the extractive industries in Ecuador and the region. Sebastián enjoys all sports, particularly football and enjoys reading about history. Strengthening young leaders is necessary to face authoritarian governments and increase transparency and civil society participation in our countries. 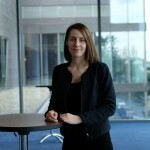 Simonida is a founder and director of the European Policy Institute in Skopje, Macedonia. She holds a PhD in Politics and International Studies from the University of Leeds in the UK and has lived and studied in several European countries, including Bulgaria, Ireland, Croatia and Belgium. With her experience as a civil servant, researcher, consultant, lecturer and think tank manager, Simonida has insight in both conceptual approaches to societal transformation as well as the practical worlds of public policy. She has studied and is still puzzled by the role of external actors play in democratisation processes. Success in leadership comes in recognition by others. Stella was born in Ukraine and raised in the Republic of Moldova. She holds both a Bachelor’s and Master’s degree from the School of Political Science and Public Administration in Bucharest. Stella is currently a project coordinator for the Institute for Public Policy in the Republic of Moldova, where she helps develop and promote democratic initiatives meant to increase civic oversight over policy development and policy implementation. In the near future, Stella plans to develop a digital tool that will actively engage young people with the 2018 Moldovan parliamentary elections. Being a leader is guiding people in the path to their full potential.